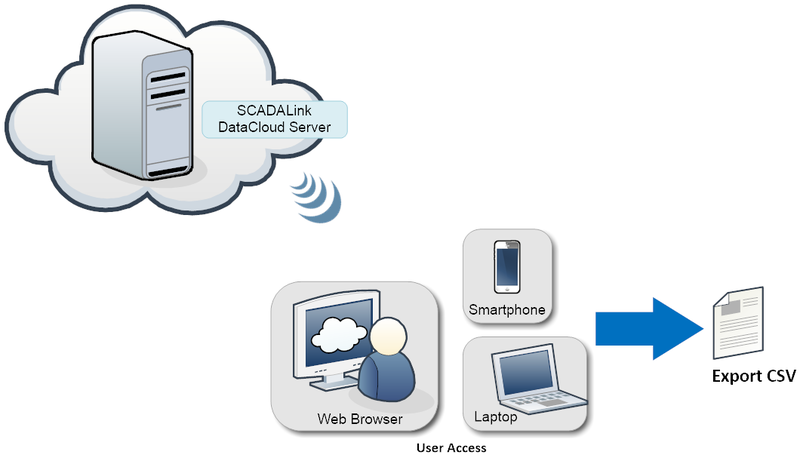 The SCADALink DataCloud is a hosted solution for management and monitoring of Data Logger data. Users access DataCloud via a web brower on a computer, laptop, or smartphone. DataCloud provides users a consistent method to retrieve, archive, view, validate and export data logger data. SCADALink DataCloud supports virtually all data loggers through CSV input format. Data files can be automatically uploaded or imported manually through the web interface. 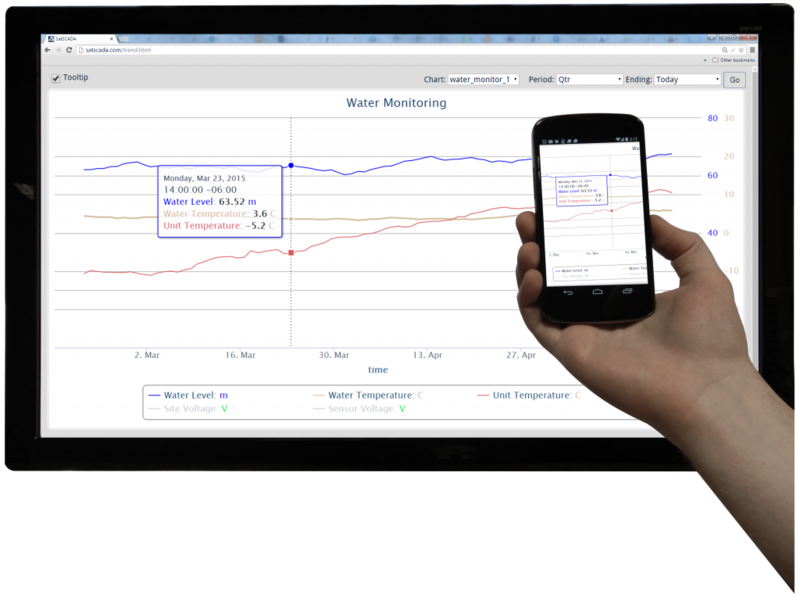 The DataCloud provides a central means to collect and manage your Data Logger data. Data Retrieval can be done by the Retriever program over the wired or wireless network, or collected via USB drive and uploaded directly through our Web Client. 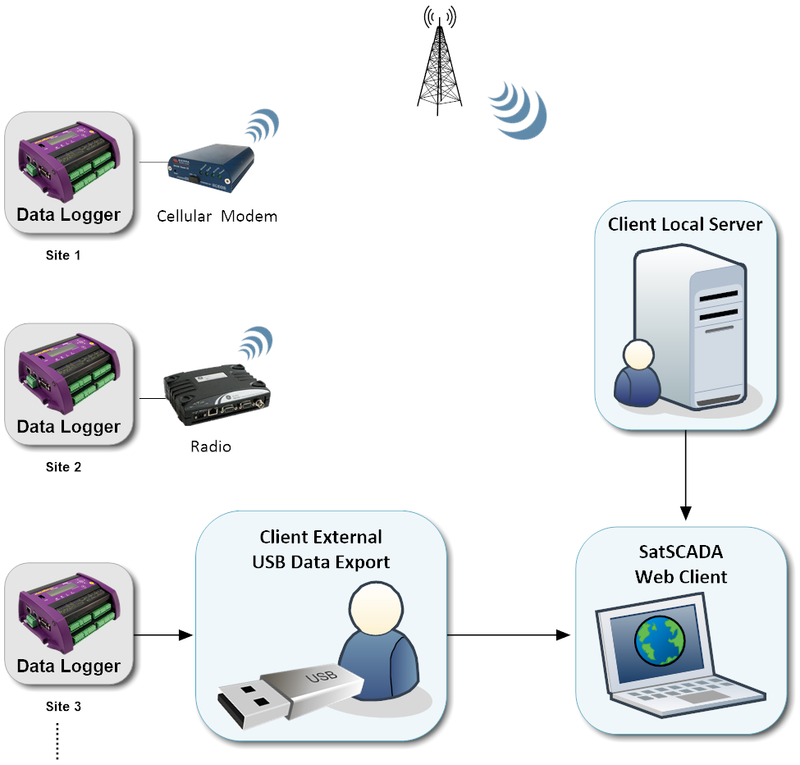 Manually via SatSCADA Web Client from any browser enabled device, even from the field. 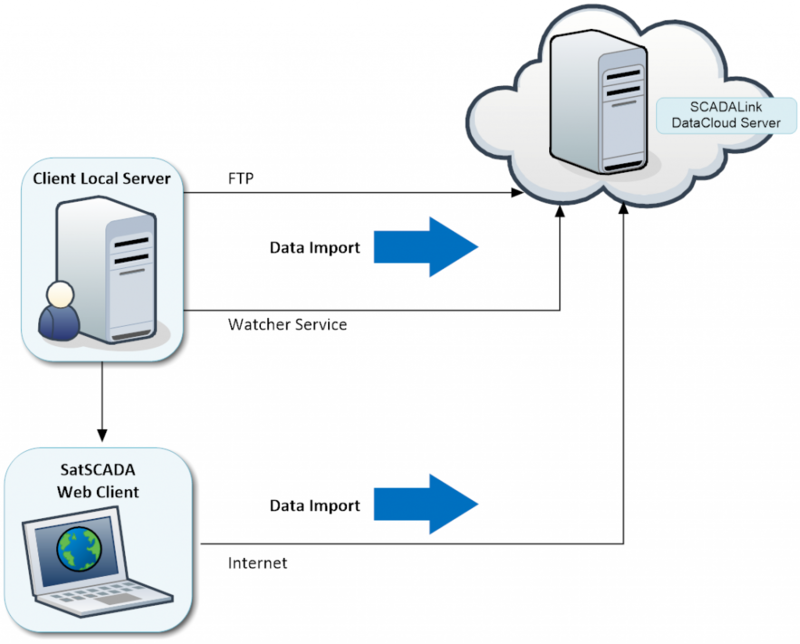 Users access the SCADALink DataCloud through the SatSCADA Web Client. The Web Client can be accessed via any browser enabled device, either a desktop in the office, or a laptop/mobile phone in the field. The Data can be viewed, trended and exported from virtually anywhere you have an internet connection. DataCloud gives provides a portal for users to analyze data imported from data loggers. Users can trend data using Trend View. With the Tag View the users can easily view most recent values at a site. DataCloud can support data imports from multiple data logger types. Imports can be from CSV file format or proprietary data logger formats.